DN Username: ! TND ! Description: Tall, short black hair, has a serious look most of the time. Son of the founder of Artech, Battle City Finest at what he does best, dueling. 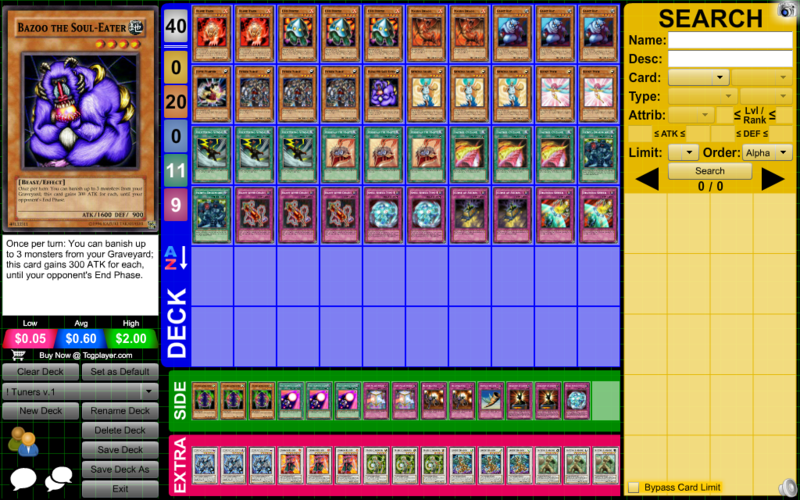 This is the deck I used to win the tournament. I thought it would be cool to show off my best deck at that time and now that we have new and better cards this deck list is a bit irrelevant now. However, I would love to see your deck lists for the last "format" before URG came out.